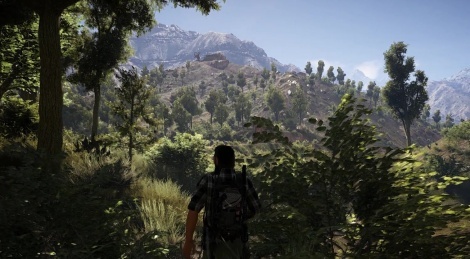 To say goodbye to the closed beta of Tom Clancy's Ghost Recon: Wildlands, we are inviting you to take a little stroll with us in the PC sunlight of Ubisoft's version of Bolivia. Deactivating Vsync allowed us to enjoy a much smoother framerate, even when recording with Mirillis Action!, which seems to indicate Vsync is the main problem when it comes to performance on high end computers. Let's hope the final build and the dedicated drivers will solve the issue, so PC players call all experience a smooth experience, as we have on PS4 Pro (though at 30 fps obviously). I'm going crazy, but somehow PS4 Pro version looks better. Maybe my PC expectations were too high. PS4 version looks very good, contrary to what Korndog says, but image quality is crisper on PC, draw distance and shadows are much better, not to mention a few other things. That being say, when not looking too closely, there is no mindblowing difference. The thing is, I think the game looks very good overall, but sometimes, when you pay attention to some specific details, it can be a bit disppointing. Is there HDR on PS4 versions also? I'm sure that would be a contributing factor to boosting it more on PS4 too then. HDR on PS4, not on PC as far as I know. A tip if you want to make "contemplative" vids like these : with your weapon stowed, use the "shoulder swap" button (RB/R1 on consoles) to toggle a special "far away" camera. I played the Xbox One beta and was greatly disappointed. I come from playing OGR, GRIT, GRAW, etc. I only tackled it singleplayer and did no co-op. It pales in comparison to GTA5 and even Red Dead Redemption and the last 2 Far Crys. The driving mechanics are terrible and the truck I was in, appeared to be able to scale the side of mountain sides with a slope of 80 degrees, with no problem. Helicopter flying mechanics were abysmal and non intuitive. I had it on default difficulty and it was a joke compared to how hard the original GR and GRIT were. I will be passing. Ubisoft has taken a long time to get this game to us, but this game is more of an Alpha than a Beta. A beta on month before release and the game is in this state. Driving games have been around for years, why not get some coders from Codemasters or Bizzare Creations to build a true driving model for the game. The vehicles feel very floaty. 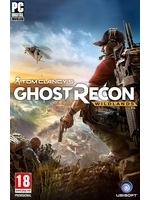 Ubisoft thinks they can release a game to us and beta test us on the retail version for months, and patch it into a somewhat decent game. Watchdogs1 and The Division are good examples of them fixing unfinished/unpolished games. Not impressed. 2:10-2:25 looked beautiful. Shame this game doesn't like my setup. I'll say it again, there isn't a huge difference on PC, there is one when you zoom in 200%. It will always happen the same, until I see a generation leap of difference, I'll not invest on a gaming PC anymore. Maybe I'm really tired of lazy developers. I know that techonolgy becomes old after a few months, but give the game some nice optimisation and we can see amazing things even on "old" hardware. It happened with PSX, PS2, PS3, PSP and it will happen the same with PS4. Obviously you didnˋt play the Beta (and other games) in 4K on PC! The gap in terms of graphics between consoles and a "real" Gaming-PC is HUGE. Beyond that, everything is console fanboy bla bla... i guarantee you, eyerybody(!) would see the big difference, when you play in person both console and PC games. Why would someone play in 4k and have to endure a much lower framerate? Visual quality is nice for sure, but not if it comes at such a price. And you're obviously making assumptions without asking me or knowing how I play. Here's the thing, I'm not saying that there's no difference, I'm saying that the difference isn't huge FOR ME. I have a more than capable PC, I'm a photographer and my girlfriend is a graphic designer, we really need some horse power for the type of work we do, but, again, for me, graphics aren't that good. I can see the difference, clearly, but I'm not seeing a difference that is making me forget about the core gameplay mechanics and the story. If I'm going to build a gaming PC like I used to do, I need to see a difference that is making me see a generation ahead. If the "only thing" I get is better textures, better framerate and some details that you need to zoom in 300% to see them when I'm completely still because, well, I'm playing, then nope. That being said, I'm ok with the people who wants the best of the best. I used to want precisely that, but not anymore. That's the difference between your huge difference and mine. Is very objective, and that's why is just an opinion what I'm saying. Look f.e. at Witcher 3 ... i´ve played the PS4 version for about 10 hours and the PC version over 200 hours. TW3 in 4K, ultra details, hairworks etc is AT LEAST one generation ahead over the current gen console... it looks and feels like two different games!!! It's a fact... there are no two opinions mate ;). Don't get me wrong consoles doing well (for a 400€ hardware), especially the pro, Uncharted 4 looks amazing, but a real gaming PC machine is a class of its own. Personally I think it looks amazing, I pre ordered it and can't wait to play it on my PC. Graphics these days seem terrible. Looking at youtube I thought Battlefield 1 would be amazing but in person it is underwhelming. Same seems to be true with this game. I thought it was just my PC but the high quality recording of this game above seems to indicate a general issue.